You are here: Home » We Often Come Up Short, but God Never Does | Introducing Julie Schnatterly to the Blog! 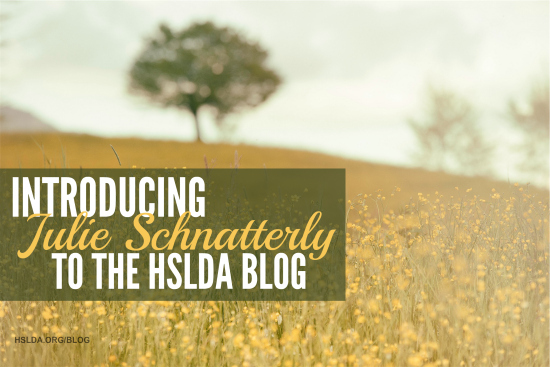 We Often Come Up Short, but God Never Does | Introducing Julie Schnatterly to the Blog! If the journey of a thousand miles begins with a single step, my journey as a homeschool mom may have begun with a crawl, a limp and couple of do-si-dos which ended up leaving me facing in the wrong direction. I grew up in a very dysfunctional family and came to motherhood more unprepared than the next person. I only knew that when they placed my firstborn into my arms, I would give all of my heart and soul to protect and nurture her in the best way I knew how. In the late 90s when I was expecting my third child, I sent my oldest off to her first year of public school. I had heard and even been intrigued by the idea of homeschooling but had convinced myself that there would be no harm in sending my big girl off to kindergarten while I cared for my preschooler and prepared for a new baby. I had loved my own kindergarten teacher so much that the memory of her—long hippie style 70s hair, polyester dresses and the smell of Ivory soap—has stayed with me into adulthood. We sat on small squares of carpet at her feet, hanging on to her every word and enthralled by stories that sparked our young imaginations and produced our own great works of art to the intoxicating smell of crayons and paste. It was a time I remember fondly and the experience I expected for my own child. What she experienced instead was the exact opposite. A frustrated teacher and teacher’s aide who found my daughter’s short attention span too much to deal with in a class of nearly thirty children pushed me to make the decision to bring her home. Through the support of a very small homeschool community in rural West Virginia, I was able to get my footing. As a fairly new believer, I was blessed to be in a small church where the majority of the families homeschooled. These friends introduced me to people like the Moores who taught me the “better late than early” approach that allowed me to consider my children’s abilities individually and not push them to learn things for which they were not yet ready. I met Charlotte Mason who introduced me to the concept of “living books” as opposed to text books and helped me understand that “children are born persons”—each a very unique individual with interests and thoughts and preferences in their own right and not little clones of their parents. Max Lucado echoed this sentiment so well and in a way that I have for years held close to my heart: “Don’t see your child as a blank slate awaiting your pen, but as a written book awaiting your study.” I came to understand that these three beautiful human beings, whose lives I was a part of, did not need my hands to sculpt what had already been masterfully crafted by their Creator. But what they needed instead was my responsibility and pleasure to come alongside the work that He had already set into motion by giving life to each of them. Homeschooling was just a part of that awesome privilege. I’ve messed up plenty along the way. 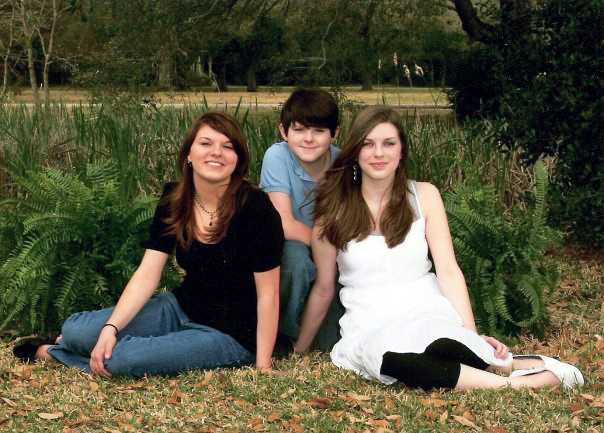 It has not all been a bed of roses in blissful enjoyment of motherhood and homeschooling. I hope that as I spend time blogging and sharing some of my heart and the story of my family, we can show that while we often come up short, God never does. Our family’s story is one that shows how God redeems the struggles and heals the wounded for His purposes. Photo Credit: First photo graphic design by Charity Klicka; second photo taken by Julie Schnatterly. ← I Like to Do a Little Reading in My Off-Duty | Introducing Carolyn Bales to the Blog!